Two young girls, aged 9 years and 4 years, died in a premature explosion at their home in the Creggan area of Derry. Their father, a member of the Irish Republican Army (IRA), had been making an incendiary device, presumably for use against the British Army. The explosion killed two other members of the IRA. The girls were the first females to die in ‘the Troubles’. Bernadette Devlin, Member of Parliament (MP), was arrested and jailed for six months for riotous behaviour during the ‘Battle of the Bogside’. 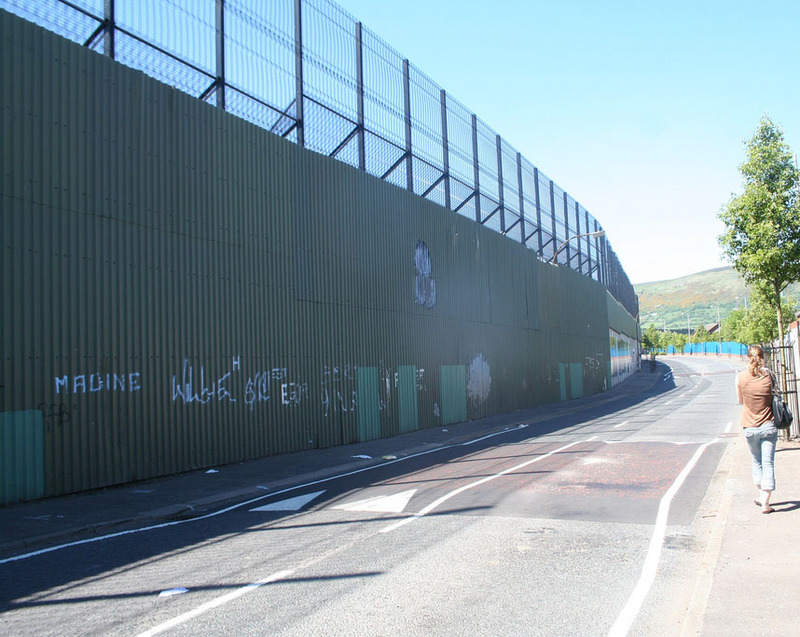 There was rioting between the British Army and local residents in Derry following the news of the arrest. The riots spread to Belfast. 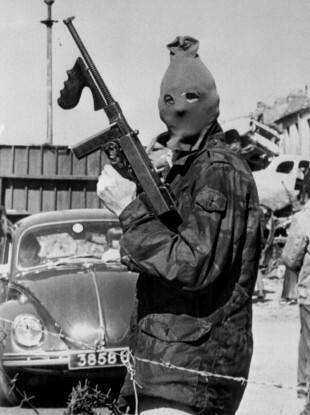 The Provisional Irish Republican Army (IRA) began a “bi-lateral truce” as at midnight. The Irish Republican Army (IRA) killed two British Army soldiers in separate attacks during the day. Paddy Wilson (39), then a Social Democratic and Labour Party (SDLP) Stormont Senator, and Irene Andrews (29), then his secretary, were found stabbed to death in a quarry on the Hightown Road, Belfast. They had been killed by members of the Ulster Freedom Fighters (UFF) a covername for the Ulster Defence Association (UDA). A civilian employed by the British Army was shot dead by the IRA as he left an Army base in Derry. A Catholic civilian died four days after been shot by the British Army in Derry. Miriam Daly, a prominent member of the National H-Block / Armagh Committee, was shot dead by Loyalist paramilitaries at her home in Andersontown, Belfast. A constitution referendum on the issue of divorce was held in the Republic of Ireland. [When the votes were counted the population had rejected the opportunity to introduce a restricted form of divorce by 63.5 per cent to 36.5 per cent. Many Unionists in Northern Ireland saw the result as confirming their view that the Republic was intolerant of Protestants. Maguire Seven Freed The convictions of the group of people known as the ‘Maguire Seven’ were quashed by the Court of Appeal in London. The seven had been convicted of supplying the bombs that were used in Guildford and Woolwich. John Major, then British Prime Minister, began a two-day visit to Northern Ireland. Major called for a resumption of political talks between the constitutional parties. The Royal Ulster Constabulary (RUC) moved to prevent an Orange Order parade close to the peace line in the Springfield area of Belfast. The action led to rioting. Brian McCallum (26), a member of the Ulster Volunteer Force (UVF), was mortally wounded when a grenade he was handling exploded prematurely. Eighteen other people were injured. The High Court in Belfast awarded compensation to the mother of Karen Reilly (16) who was shot dead by a British soldier on 30 September 1990. 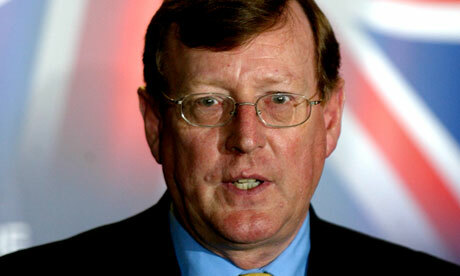 David Trimble, then leader of the Ulster Unionist Party (UUP), admitted bringing pressure to bear on the Director of Public Prosecutions (DPP) and the Royal Ulster Constabulary (RUC) over the events on the Garvaghy Road in 1995. Trimble had pressed for prosecutions against the leaders of the Garvaghy Road residents who had opposed the 1995 Drumcree Orange march. Prosecutions were dismissed. 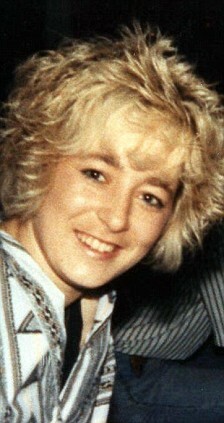 Veronica Guerin, an investigative journalist in Dublin, was shot dead near to Dublin. The Fianna Fáil (FF) party appointed Ray Burke as Irish Minister for Foreign Affairs. 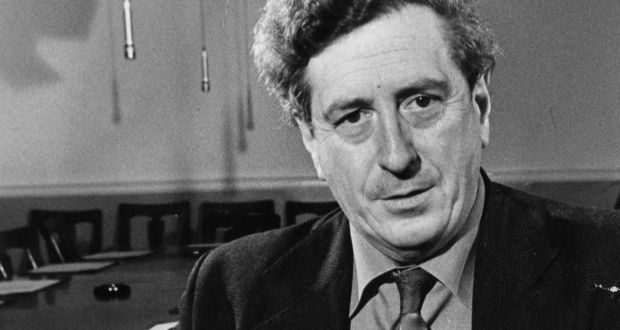 It was also announced that David Andrews (FF) would be Minister for Defence and Liz O’Donnell (Progressive Democrats) would be Junior Minister for Foreign Affairs, and that both these ministers would assist Burke at Stormont. As counting got under way in the Northern Ireland Assembly election the relatively poor early showing of the Ulster Unionist Party (UUP) resulted in the bitter divisions within the party becoming public. “presiding over an electoral disaster”. Maginnis replied by accusing Donaldson of “gloating over the difficulties that he and others like him” had created for the party. 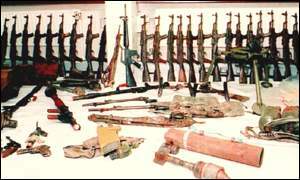 The Irish Republican Army (IRA) issued a statement to say that it had opened some of its arms dumps to be viewed by the independent weapons inspectors. Cyril Ramaphosa and Martti Ahtisaari, then independent weapons inspectors, held a meeting with Tony Blair, then British Prime Minister, in Downing Street and confirmed that the inspection had taken place. Shot attempting to stop bomb attack on The Stables Bar, Water Street, Newry, County Down. Shot while on British Army (BA) foot patrol, Abercorn Road, Derry. Shot by sniper while on British Army (BA) mobile patrol, junction of Seaforde Street and Comber Street, Short Strand, Belfast. Died five weeks after being shot at barricade during street disturbances, Douglas Street, off Beersbridge Road, Belfast. Social Democratic and Labour Party (SDLP) Stormont Senator and Councillor. Together with his secretary, found stabbed to death in quarry, Hightown Road, near Belfast, County Antrim. Together with Social Democratic and Labour Party (SDLP) Stormont Senator and Councillor, Paddy Wilson, found stabbed to death in quarry, Hightown Road, near Belfast, County Antrim. Civilian employed by British Army (BA). Shot shortly after driving out of Bligh’s Lane British Army (BA) base, Creggan, Derry. Found stabbed to death, Brookvale Street, off Cliftonville Road, Belfast. Found shot, Divis Flats, Belfast. Alleged informer. Off duty. Shot while renovating house, Surrey Street, off Lisburn Road, Belfast. Shot by sniper, while on British Army (BA) foot patrol, crossing field, near Newtownhamilton, County Armagh.